International Brotherhood of Electrical Workers (IBEW) President Emeritus Edwin Hill passed away December 1. He was 81 years old. Brother Hill served on the MTD Executive Board from 2001 to 2015, when he retired as IBEW President. The Pennsylvania native began his IBEW career in the 1950s as an apprentice in Local 712. He climbed the ladder eventually serving as its president (1968-70) then business manager (1970-1982). After 12 years as an IBEW Third District International Representative, he became its International Vice President. 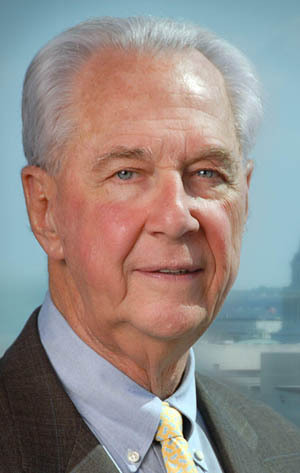 Hill was appointed IBEW International Secretary in April 1997. A year later, he was named the International Secretary-Treasurer and served in that post until he became the IBEW President in January 2001. In addition to his IBEW duties, he was involved with the Pennsylvania AFL-CIO, the Beaver County (PA) Central Labor Council and the Beaver County (PA) Building Trades Council. Send us your stories, photos, and videos so that we can feature them in our new site.